It’s the end of another month, and we’re officially moving into MWF festival-month. Working festivals is paradoxical – you’re surrounded by writers and books, but have increasingly less time to read the more actual the festival becomes. Never fear though, there’s a massive binge on the other side, and it happens with a renewed passion after seeing many amazing writers speak. But that’s next month. I got through a few books this month, two of which are by MWF guests. 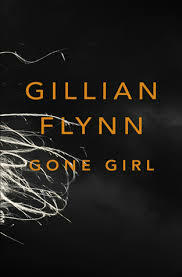 Gone Girl has been such a popular book in the last few months that I couldn’t just ignore it. Like most best-sellers, it was compelling stuff. A murder mystery, which is something I generally wouldn’t be interested in reading. It’s impossible to review, because of its Fight Club-esque twist – you can only do it once, and after it’s done everything is changed. So I won’t go into the plot, I’ll just say that Gillian Flynn has a good eye for society, and I enjoyed this about her book. Some of the writing is a bit icky, you can almost see Flynn at her desk writing around cliches so much that they’re obvious. But the pages turned themselves, and the twist got me. Anything from Sleepers Publishing is generally a good bet. 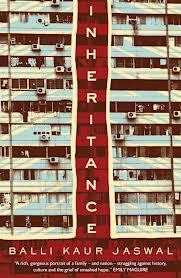 I found Inheritance to be a really strange book, in a good way. It’s just as much about the passage of time within a family as within a nation, following one Indonesian family through Singapore’s coming of age. It’s a bit of a quiet story. While I was reading I wasn’t particularly struck by the beauty of the prose, or the plot, or anything much at all. But when I finished the book and put it down, I felt like I’d just been through something with some very real characters. And that probably means more than the loud books. I knew nothing about this book, or MJ Hyland, apart from her presence at MWF 2013. Thought I’d better read it, and I’m so glad I did. How The Light Gets In is about a teenage girl, Lou, who goes to the US on exchange. She comes from a low socio-economic background, and is hosted in the US by quite a wealthy family. Despite her fantasies of escaping her life in Sydney to this new trouble-free zone, Lou manages to bring her problems with her. This book made me question a lot though, like whether Lou was dysfunctional, or just had trouble fitting in and had troublesome coping mechanisms. And what it is about teenage thinking that makes everything sparkle, and how MJ Hyland managed to harness that so well in this novel. 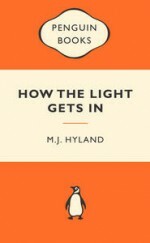 How The Light Gets In is intelligent, quirky and funny. So many passages needed to be read-aloud to people around me. A great many others were written in my notebook, squirreled away. Nicely done. Unfortunately I don’t believe I’ll have time to read until October. True story. Hi Matt! Wow – why won’t you have time? That’s awful! Oh! Matt, I think you need to prioritise reading. It’s not indulgent, it’s part of your writing work. I’m stuck on Stephen King’s Under the Dome. It’s been sitting in my pile of books to read for two years so I thought I’d better get into it now that the TV show’s out. Not great. King’s a great storyteller, but there are some very misogynist undertones and some of the dialogue and thought patterns of the characters are clunky and cringeworthy. Looking forward to finishing it. Liked Gone Girl a lot, but wasn’t as good as I thought it would be. Excited to see what they do with the film. Oh wow! I never would’ve expected that from King – not that I’ve read anything of his, so I wouldn’t know what to expect at all… But still. How disappointing. Ben Affleck is playing Nick, Rosamund Pike is in talks to play Amy, and it’s directed by David Fincher through Reese Witherspoon’s production company. Should be a star-studded affair. I’ve read two great collections and a novel. Liars in Love by Richard Yates was incredibly good. He certainly captures the essence of character, the times and the many varied types of relationships. Superb collection. The other collection was a spec-fic collection called Dreaming of Djinn which was set in the western orient – many from Australian writers too. It was great – fun and very varied. Some stories were serious and others light but there was something special for all types of readers. And the last was the Australian novel “Strange Objects” by Gary Crew, which was solid. The supernatural elements are a little confusing but the way the two Batavia mutineers settle in with the Indigenous community on the mainland and contrasting that community with a modern regional one (which explores Indigenous issues) was effective. Its epistolary nature was effective too. That last one sounds interesting, I might have to chase that one up. Thanks for sharing!